Increased competition in markets for products and services can improve a country’s economic performance, open business opportunities and reduce the cost of goods and services to the benefit of consumers. However, it is often the case that numerous laws and regulations that ought to help market players instead restrict competition in the marketplace. In Portugal, regulatory constraints are present in many sectors of the economy and hold back economic dynamism. 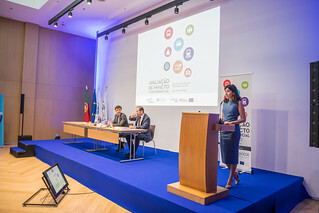 In October 2016, the OECD has teamed up with the Portuguese Competition Authority (PCA) to carry out a thorough and independent policy assessment in Portugal to identify rules and regulations that may hinder the efficient functioning of markets in the sectors of transportation (railways, road, maritime transport and ports) and in 13 self-regulated professions (lawyers, solicitors, bailiffs, notaries, engineers, technical engineers, architects, auditors, certified accountants, customs brokers, economists, pharmacists and nutritionists). Making use of the methodology in the Competition Assessment Toolkit, a project team composed of competition experts, economists and lawyers from OECD and the Portuguese Competition Authority, reviewed existing legislation and regulations in the selected sectors, and proposed pro-competitive changes, in line with the 2009 OECD Recommendation on Competition Assessment. This approach has been used successfully in Mexico (2018), Greece (2013, 2014, 2017) and Romania (2016) to identify hundreds of restrictive regulations. During the project the OECD held a series of workshops to build the capacity of officials from the government to conduct competition assessment, in line with international best practices, through the application of the Competition Assessment Toolkit. The substantive knowledge gained can then be applied to similar exercises in other sectors or to new laws and regulations. Lisbon, 18/10/16: The project was launched by DSG Rintaro Tamaki, on behalf of the OECD, and by the former President of the Portuguese Competition Authority, Antonio Gomes. 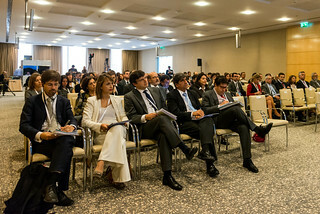 The event counted with the presence of several dignitaries from the Portuguese government including the Minister of the Economy, the Minister of Health, the Minister of the Sea and the Secretary of State for the Presidency of the Council of Minister, as well as Secretaries of State from the other ministries involved in the project. The toolkit has been used by Mexico (2018), Greece (2013, 2014, 2017) and Romania (2016) to identify barriers to competition in selected sectors of their economies. Portugal was the fourth country to undergo a Competition Assessment Review of its laws and regulations. Learn more about the Competition Assessment toolkit and related projects. The toolkit is composed of 3 volumes: Principles, Guidance and Operational Manual. The first two volumes are available in more than 17 languages.